Chile presents a strong environment for HNWI wealth. The countryhas one of the stronger economies in Latin America region. In comparison to Brazil and Argentina, its GDP per capita ($9847.86 in 2014) is growing faster and its inflation is lower. that of Brazil and over four times greater than Argentina’s. There were 45,294 HNWIs in Chile in 2014, with $261.9 bn in combined wealth. Chile is also home to 687 UHNWIs, with an average per capita wealth of $141.2m. The total Chilean HNWI population increased by 3.2% in 2014, following an increase of 0.5% in 2013. 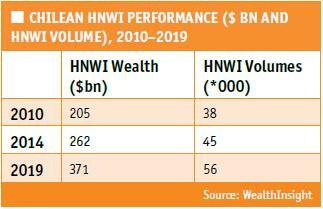 According to WealthInsight, growth in HNWI wealth and numbers is expected to improve by 2019. The number of Chilean HNWIs is set to grow by 20.8%, to reach 56,256 in 2019, while HNWI wealth is projected to grow by 36.4% to reach $371bn. Real estate was the largest asset class for Chilean HNWIs in 2014, with 28.5% of total HNWI assets. 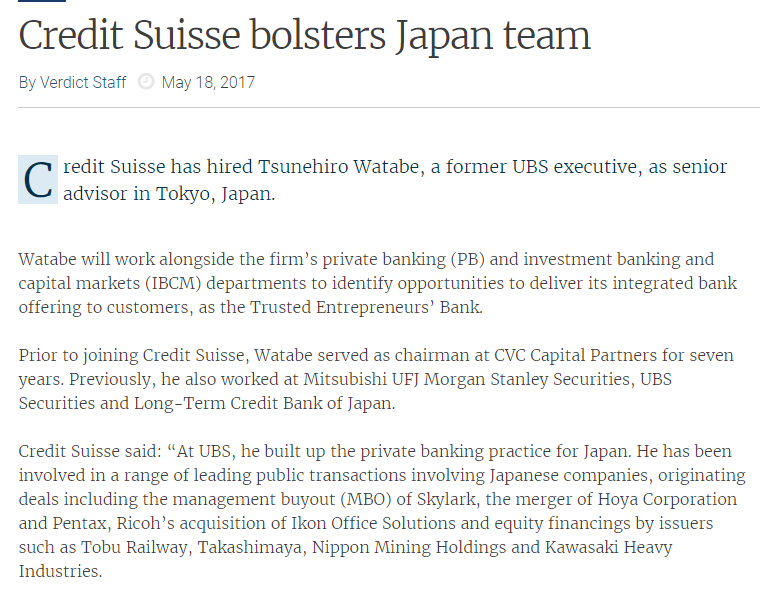 It was followed by equities with 19.2%, business interests with 15%, cash with 14%, fixed income with 13.4% and alternatives with 10%. Alternatives, business interests, real estate and fixed income recorded growth at respective rates of 44%, 43.1%, 36.1% and 25.5% during the review period. 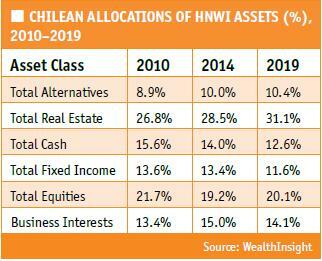 Alternative assets held by Chilean HNWIs increased during the review period, from 8.9% of total HNWI assets in 2010 to 10% in 2014. HNWI allocations to commodities increased from 1.7% to 1.8% of total assets over the same period. WealthInsight expects allocations in commodities to decline over the forecast period to 1.4% of total HNWI assets by 2019, as global liquidity tightens due to a forecast near-term drop in demand for raw materials from China. Chilean HNWI liquid assets were valued at $121.9 bn as of 2014, representing 46.6% of total wealth holdings. Chilean HNWIs held 38.4% ($100.5 bn) of their wealth outside their home country in 2014, while the global average is 20-30%. Foreign asset holdings are expected to increase to $137.9 bn by 2019, accounting for 37.2% of the country’s total HNWI assets. Latin America accounted for 56.4% of Chilean HNWIs’ foreign assets in 2014. It was followed by North America with 19.3%, the Asia-Pacific with 12.8%, Europe with 7.9%, Africa with 2.5% and the Middle East with 1.1%. Chilean HNWI allocations to Europe decreased sharply compared with other regions during the review period (2010- 2014), from 11.8% in 2010 to 7.9% in 2014. 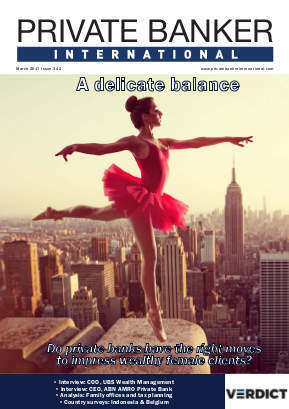 WealthInsight expects HNWIs to reduce their level of investment in Europe over the forecast period, to reach 5.8% of foreign HNWI assets by 2019, with investments increasing in Asia-Pacific and Latin America, due to growing confidence in their economies. 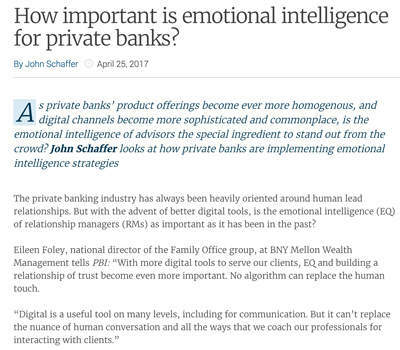 Chilean private banking is predominantly focused on the domestic market, where local banks have a 90% share of the market. 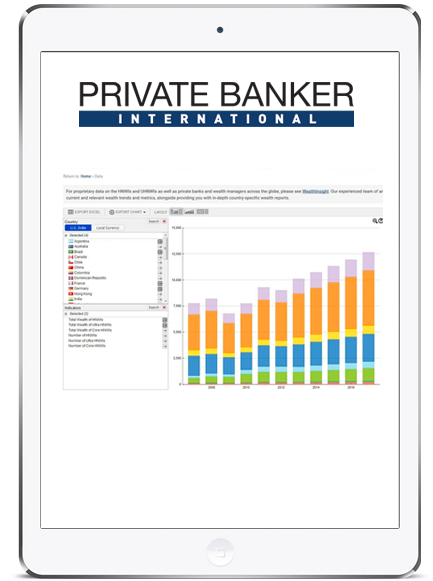 The Chilean private banking market is very transparent and during the last few years it grew by 9%. 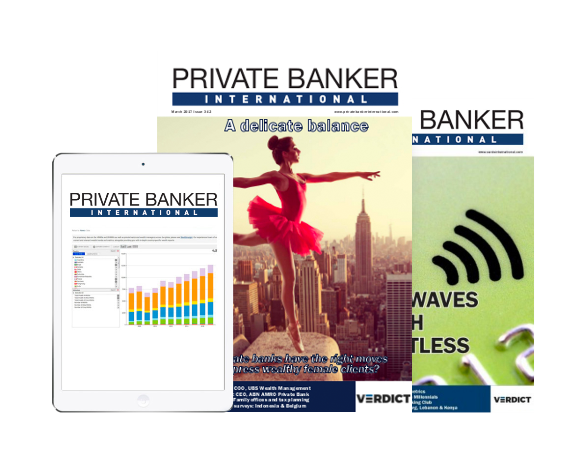 The growth of domestic private banks in Chile is fast compared to foreign private banks. banks entered the industry to provide Chile HNWIs with investment products. 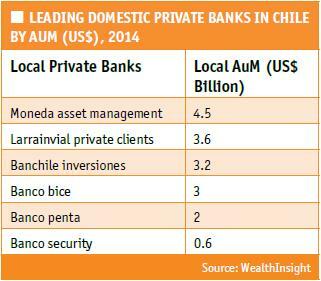 One of the leading foreign private banks in Chile is BTG Pactual with AuM of $4.8bn. 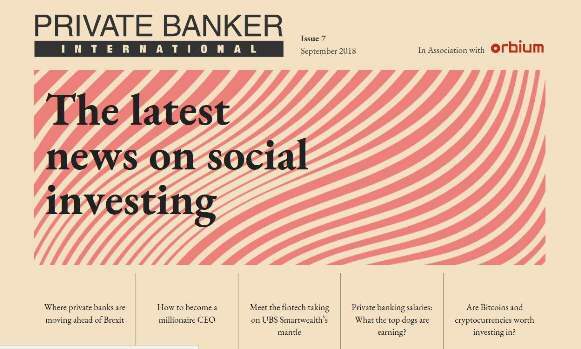 Other leading foreign private banks are Banco Santander Chile, Scotiabank Chile and BBVA Chile.